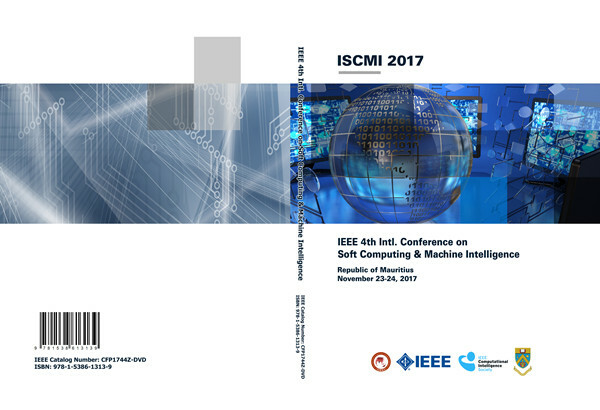 The 2017 4th Intl. 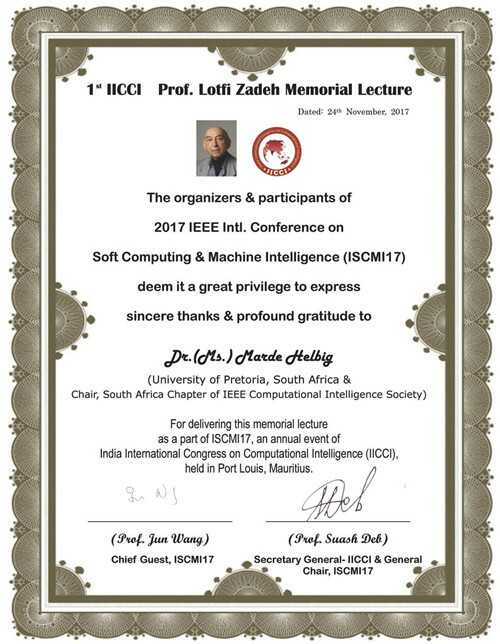 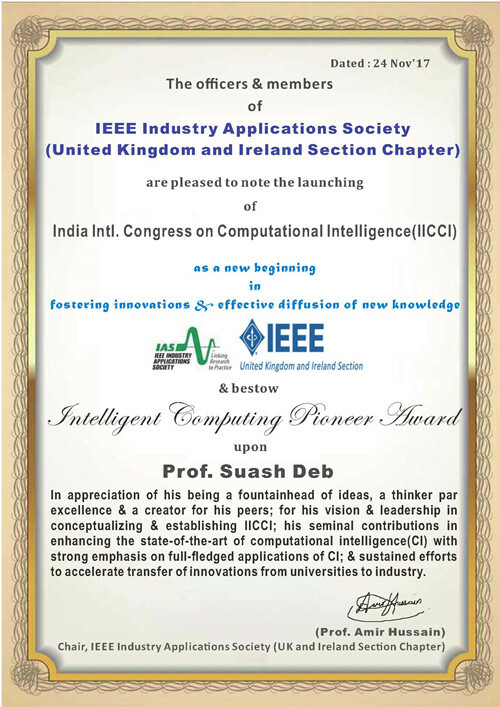 Conference on Soft Computing & Machine Intelligence (ISCMI 2017) was successfully held in Mauritius during November 23-24, 2017. 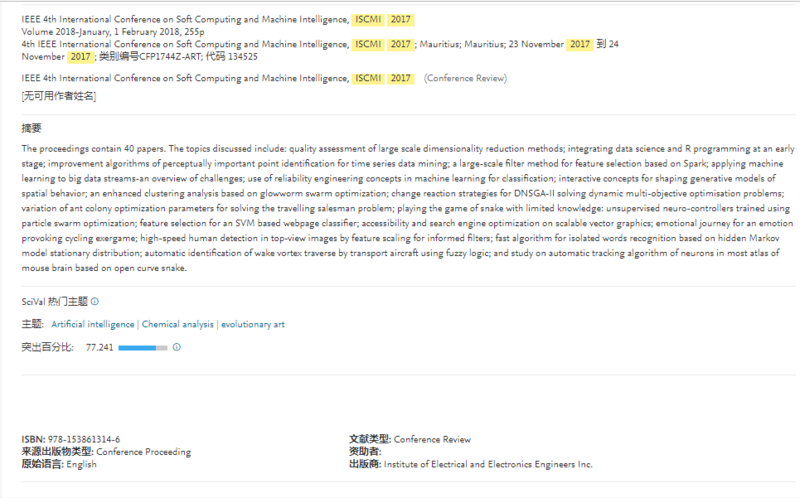 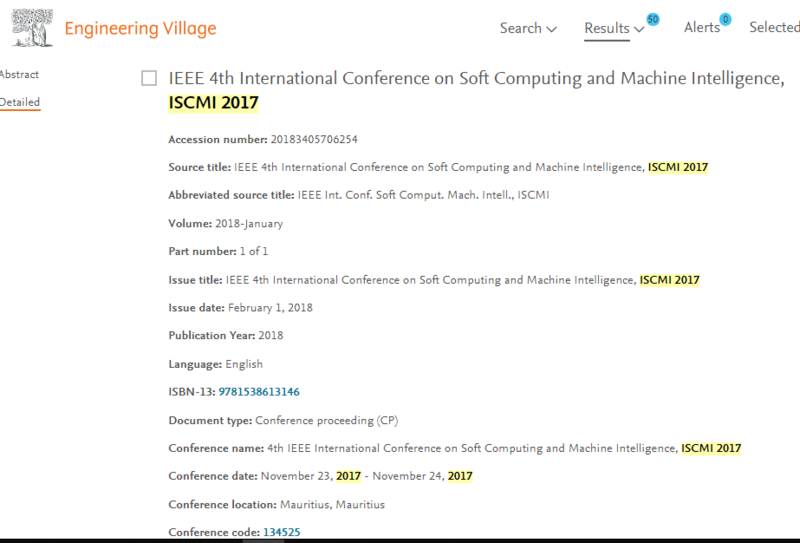 The conference proceedings of ISCMI 2017 have been indexed by EI Compendex and Scopus already!